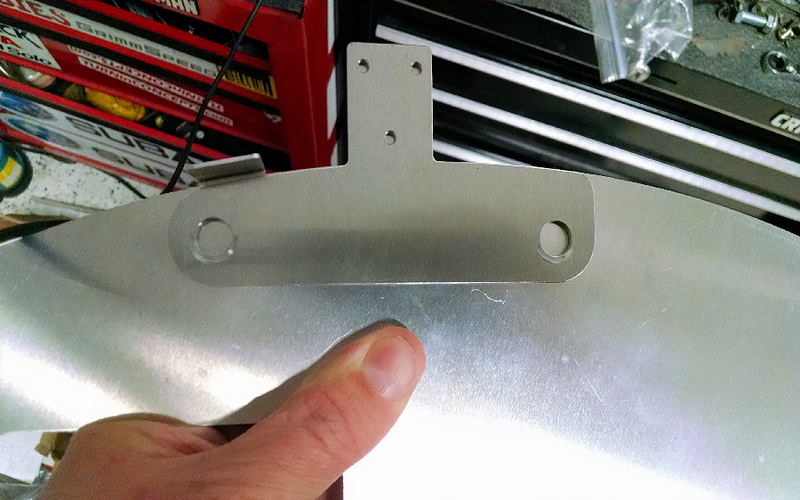 Laser cut aluminum tabs and hardware to mount the rear fender liners. 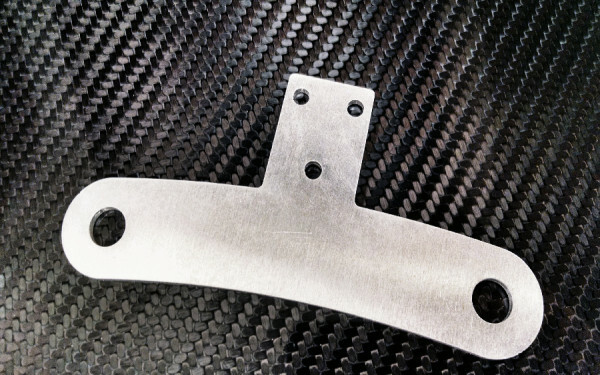 The stock fender lines have an integrated mounting tab on the inner flat portion of the fender liner. This tab gets bent downwards and riveted to the frame. Once the outer curved piece is riveted to the inner face these rivets are no longer accessible. To remove the fender liner you need to drill out the rivets holding the two section of the fender liner and then drill out the rivets on the tab. 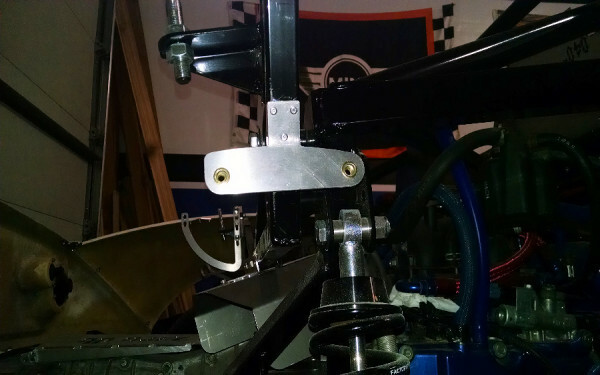 The mounting tab kit gets permanently mounted to the frame and bolts to the fender liner. Removing the entire assembly as one requires that you undo two bolts holding the front edge and two bolts holding the inside face. No drills, spare rivets, or rivet guns required. Final product has the symmetric profile shown in the first image. The installed prototype photos have an older profile that is not symmetric. Note: This kit only mounts the front edge of the fender liner to the body and the inside face to the frame. A separate bracket is needed to mount the rear of the fender liner (not yet available).